We spend a lot of time on the basics at our house – math and language arts. I want to make sure my kids have a strong foundation! Therefore, you can never have too much practice! 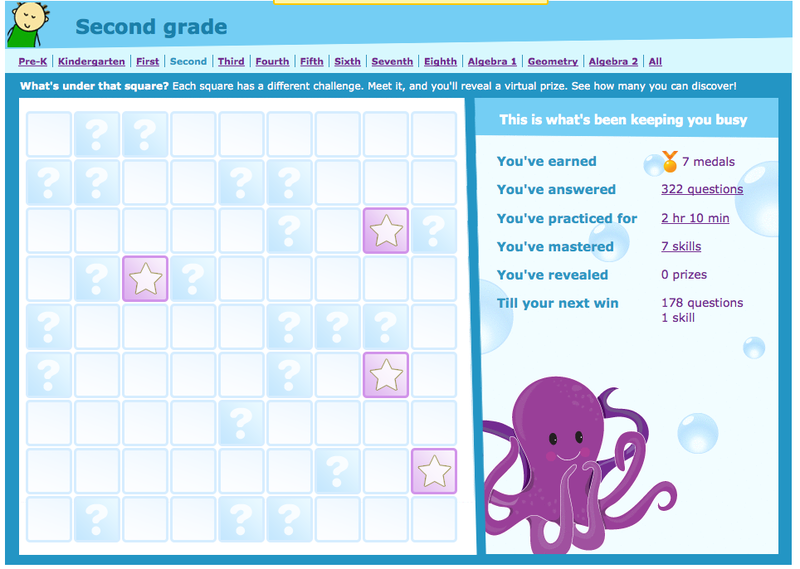 But the practice can be fun – as we learned from reviewing IXL.com Math and Language Arts! 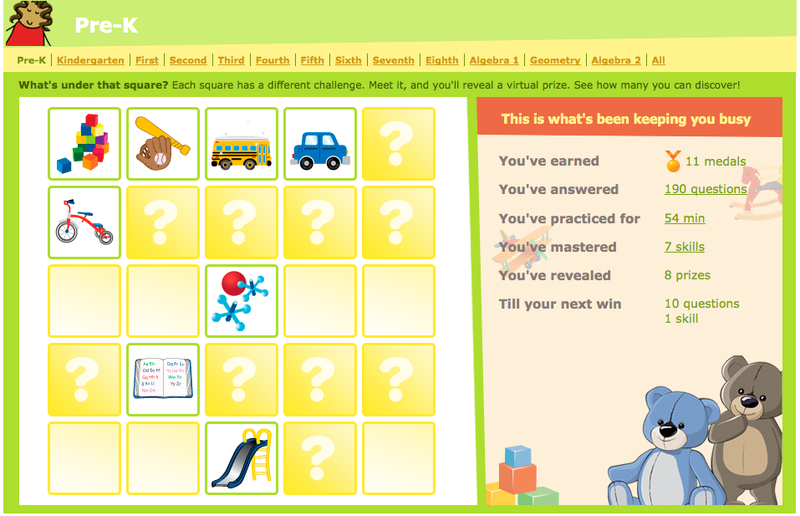 IXL.com is an online site for practicing math concepts from grade PreK through Algebra 2. The site is expanding to add language arts content as well. Currently, they offer language arts practice for grades 2-4. The program is divided into sections by grade level until PreAlgebra when the practice exercises are divided by topic such as Algebra 1, Geometry, and Algebra 2. A PreCalculus section will be added soon. Here is a sample list of some topics from each of the sections. 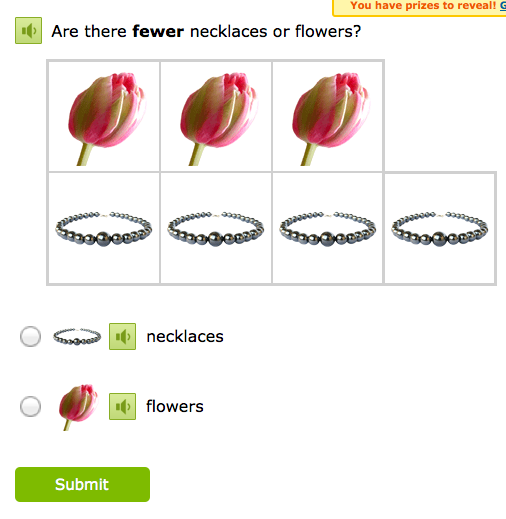 IXL contains more than 2,500 concepts in math and grammar and is a tool to supplement math and language arts learning through completing practice problems on the computer in order to learn medals. 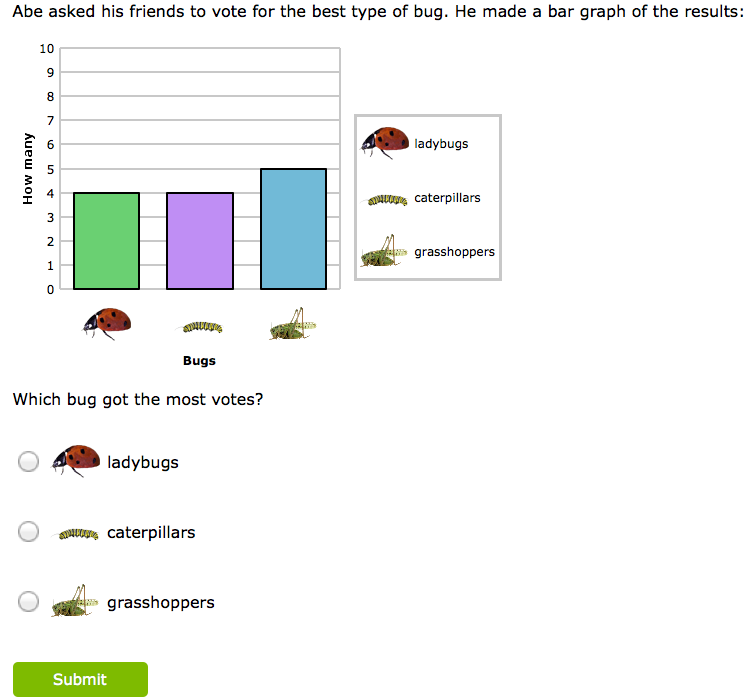 The site offers immediate feedback for incorrect responses with an explanation. 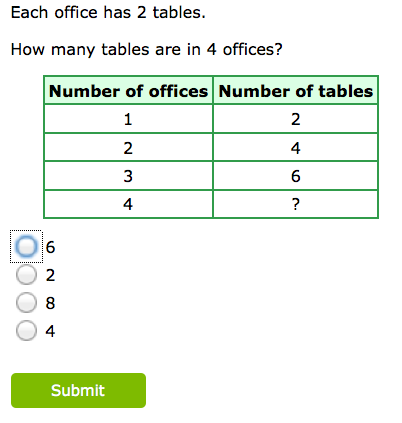 The program is interactive, allowing students to select or type in the answer for each problem. The program also adapts to the level of the child by increasing in difficulty as problems are answered correctly. Parents receive emailed reports of student progress that details how many problems a child has completed, how long they have spent on the program, and any rewards they have earned. You can purchase a family membership to IXL for one student for $9.95 per month. 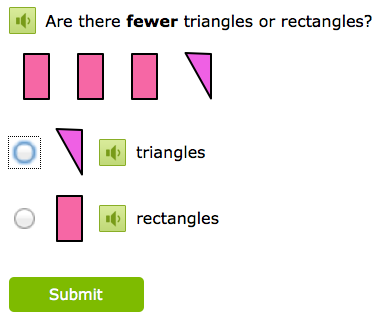 This allows access to all math levels for that student. Each additional student is only $2 more a month. Or you can purchase a year of the program for $79 each year with each additional student $20 more dollars. There is an additional cost for adding in the Language Arts portion of the program. We were able to set up 3 accounts so I set up an account for Bee (PreK), Tiger (K), and Curly (2nd grade). Curly was also able to test out the language arts program which is only for 2nd-4th grade currently. My kids took turns practicing their lessons. They enjoyed watching each other work and helping each other on their turns. Each level of the program is divided into sections with each section having smaller subsections. I encouraged my kids to work through the sections in order but if they got out of order it was easy to tell what they had completed – each completed section has a small gold medal beside it. As they completed sections they earned “prizes” which were puzzle pieces of objects that they could turn over to reveal the object. We worked on the program at least 4 days a week. My kids spent around 20 minutes per session. They were usually able to complete several of the smaller subsections during that time. I was so thankful that the sections for PreK, K, and 1st grade all included the option to have the question and answer choices read to you. This enabled Bee and Tiger to work independently. When a question is answered correctly a giant green check mark shows on the screen as well as an encouraging word such as “Brilliant!” or “Wonderful!” Curly enjoyed her messages but my other kids had no idea what was being shown on the screen until I read a few of their messages to them. They knew they had answered correctly because they saw the big check, they just wished they knew what the big word was! The program contains a simple reward program in which you earn gold medals and have the opportunity to uncover virtual prizes as you piece together a puzzle. The prizes were things like blocks or slides or other toys. Bee and Tiger found them to be cute while Curly wasn’t very interested in them. She was more concerned with her score and how many questions she had answered correctly. 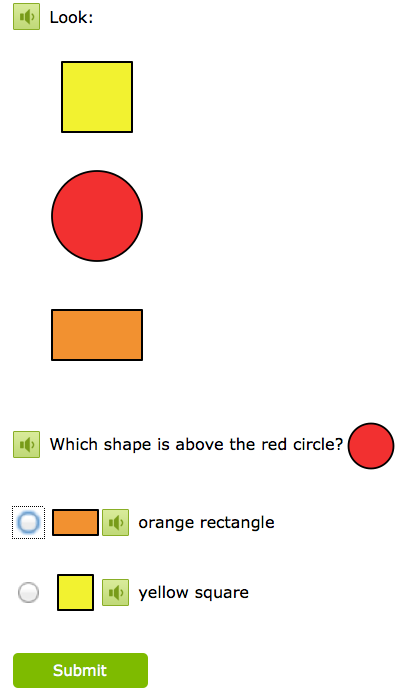 If a question is answered incorrectly the solution is shown. 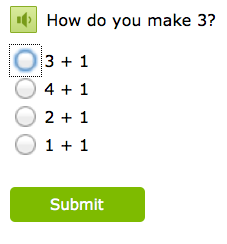 The program includes what the correct answer should have been with a short explanation. You click “Got It!” once you’ve read the explanation. Curly found these very helpful when she made a mistake. The program only has minimal animation and is not like a video or computer game. 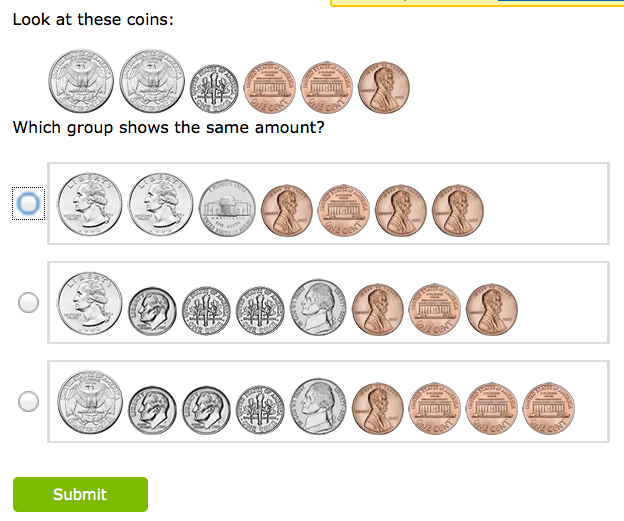 Each lesson has questions to answer and once each section is complete you earn your medal. It’s very simple and straightforward. I liked that the program was not full of distracting graphics, complicated story lines, multiple characters, or extensive scoring and award programs. It’s just math and language arts practice which is what my kids needed! However, they still enjoyed using the program for the most part even if the questions were sometimes difficult. 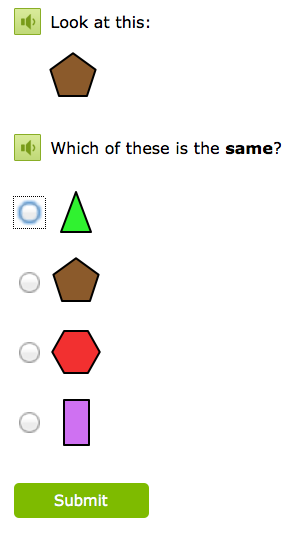 The problem types are either multiple choice or fill-in-the-blank. 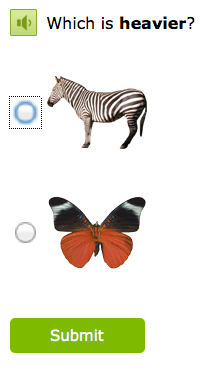 With the fill-in-the-blank choices you have to click your cursor in the box and then type your answer. This was difficult for Bee and Tiger who are not very familiar with the keyboard. Even though they were only entering simple things like numbers, it still took them a while to find them and enter them. I did notice one problem that my children had. When they switched back and forth between users, the program would not automatically go to the grade level section of that child – the program still displayed the grade level activities of the child who had just finished working on the program. I had to show my kids how to select their correct grade level to find their practice problems and to see where they had left off during the last time they were logged in. 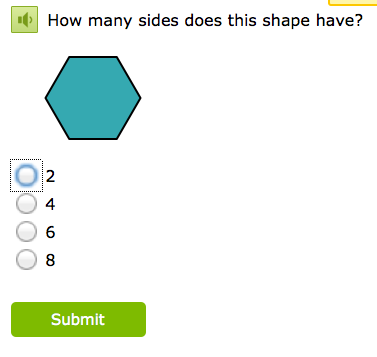 It would have been helpful if the program automatically switched to the correct grade level material for each user. I really enjoyed this program. It’s very simple – no frills, no distractions, but it gets the job done and gives students great review and practice. I liked that my kids had the ability to choose what section they wanted to practice but could quickly and easily see what sections had been completed. They found the explanations helpful when they missed a problem and they were motivated to earn their medals for completing each section. I especially enjoyed the independent nature of the program and the fact that all of my kids – even Bee, age 4 – were able to work by themselves. My kids didn’t love the program as much as I did. They would get bored with answering all the questions and could only spend about 20 minutes on the program before they wanted a break. They didn’t find the reward system overly exciting. And Curly found some of the math content to be difficult which was frustrating for her at times. While the program was not their favorite because they sometimes found it repetitious or difficult, they did enjoy their computer time and were exciting when they could see their progress through the various sections. This is an effective practice tool that is not an interactive game but is simply extra practice for a wide variety of math and language arts topics. If you’re looking for a supplement to your current program or just some added practice, this is the program for you! 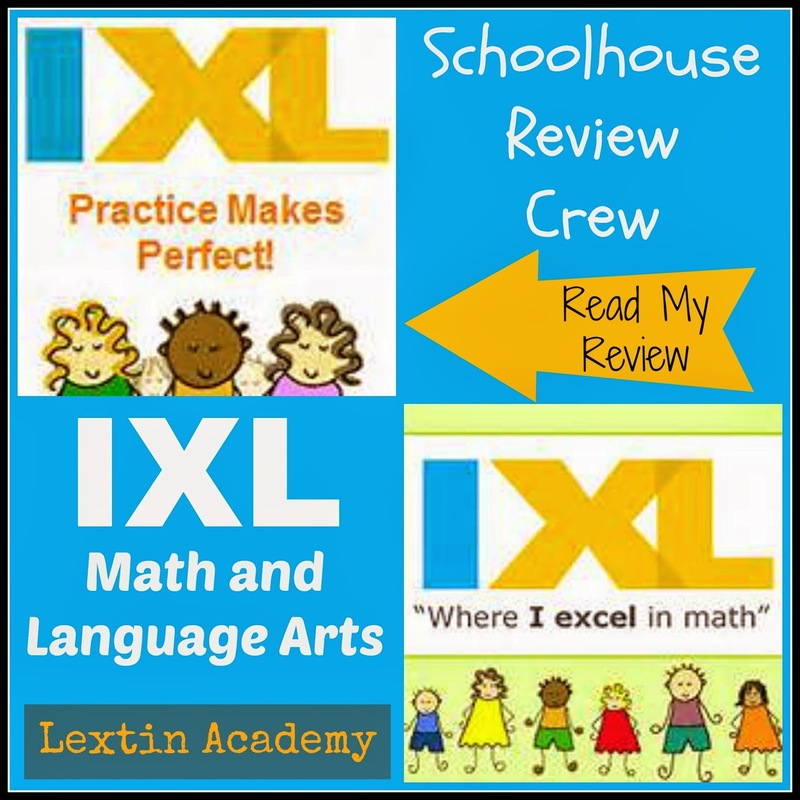 Read other reviews of IXL from Crew members!